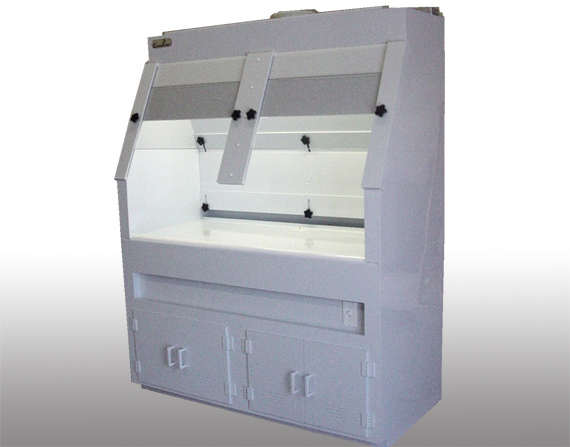 Many options are available for this unit such as Fire Retardant Factory Mutual approved Polypropylene. Consult our factory trained experienced sales engineering staff for more details. CleanZones, LLC offers many different styles, design configurations to meet your exact requirements. 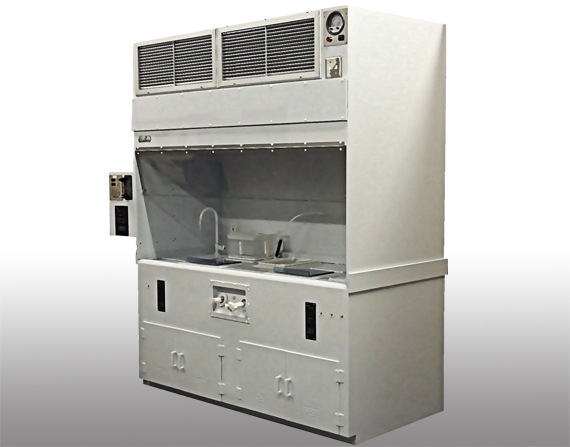 From standard Constant Volume Chemical Fume Exhaust Hoods, Bypass Fume Exhaust Hoods to Vertical Flow Exhausting Class 100 Work Station and Wet Process Station Fume Exhaust Hoods with process tanks, heated baths and dump rinsers, etc. for the intricate chip manufacturing process. 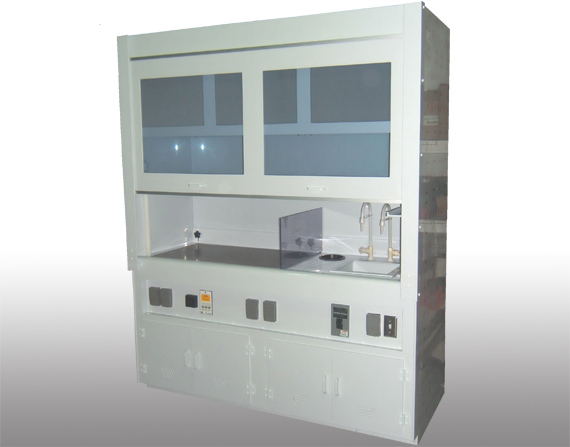 We also offer standard and custom Casework to fit your entire Lab design requirements. Our entire Polypropylene product line features 100% stressed relieved white polypropylene with heat welded seams for the best possible corrosive resistance of acids, solvents and most other chemicals. The reinforced tabletop can withstand heavy loads and the “rolled front” edge offers greater comfort. 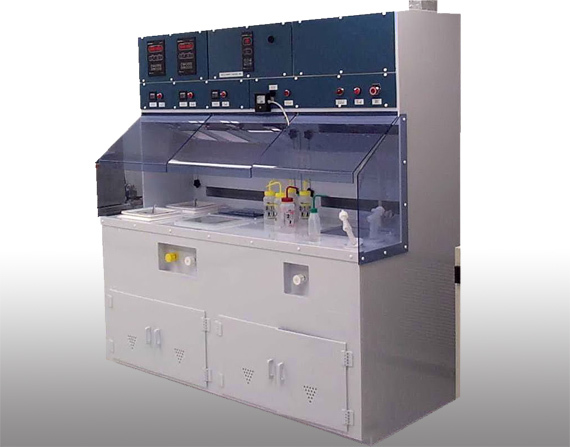 Vented base cabinet allows for storage of chemical bottles without the risk of fumes escaping to the cleanroom or lab. We offer standard and custom products without the custom cost to meet your most demanding Fume Exhaust specifications. Choose the correct type for your application or call and speak to one of our experienced sales engineers for assistance. CleanZones, LLC offers a full service approach to the Cleanroom industry. Our six-step approach will allow customers to feel confident that they will receive exactly what their requirements are, when they want it and how they want it. Our design and manufacturing capabilities include the areas of steel, stainless, thermal plastic and wood and laminates. We offer custom products without the custom cost.